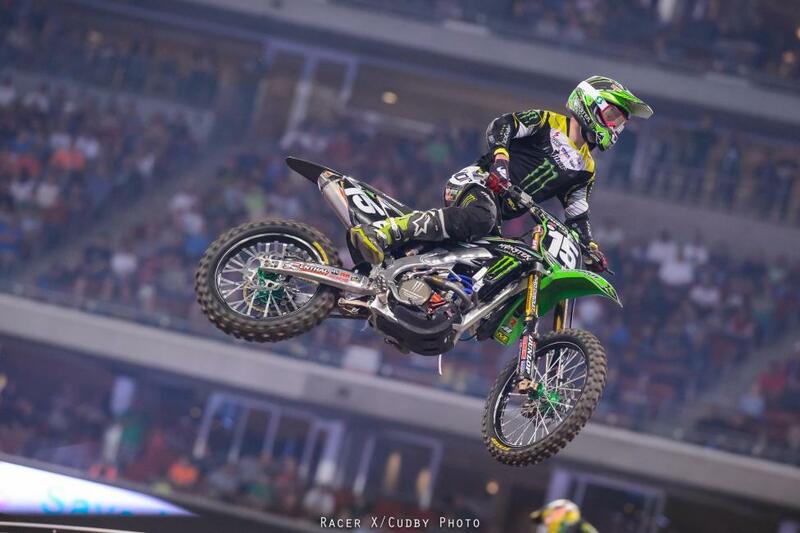 Monster Energy Kawasaki’s Ryan Villopoto took his fourth win of the year in Houston, beating Team Honda Muscle Milk’s Justin Barcia by over 13 seconds at the checkers. 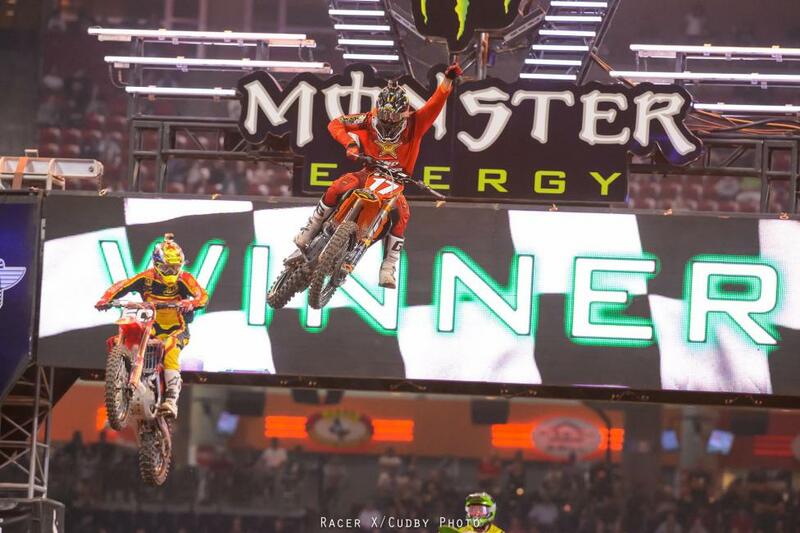 Red Bull KTM’s Ken Roczen rounded out the podium. A pile-up off the start claimed a number of riders, such as JGRMX’s Josh Grant and Motosport.com’s Weston Peick, as well as Roczen’s teammate, Ryan Dungey. Villopoto ran to the head of the pack without issue however, scoring the holeshot followed by Barcia, Roczen and Barcia’s teammate, Trey Canard. Running order remained steady out front as RV stretched out his lead over the course of the race. 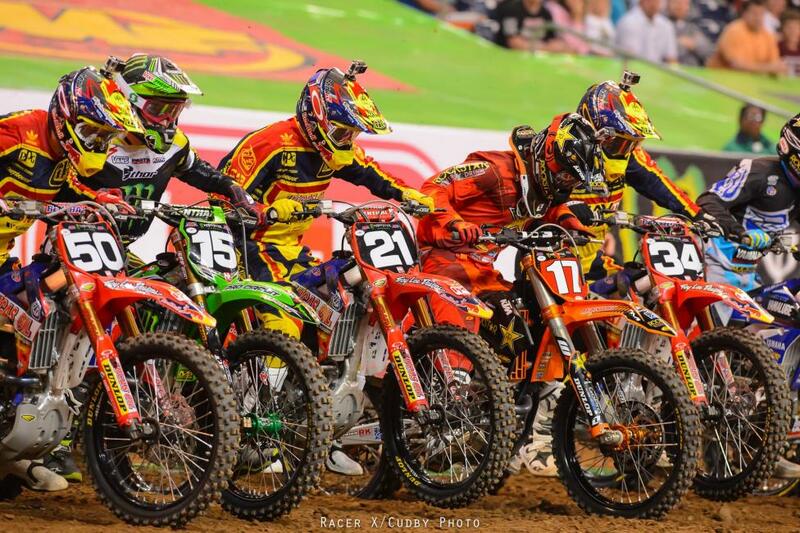 Barcia, Roczen and Canard were unchallenged as well. 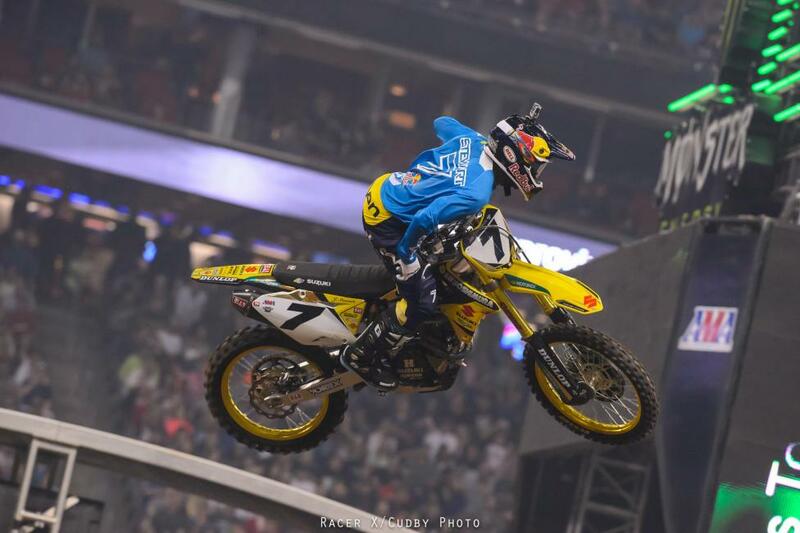 Yoshimura Suzuki’s James Stewart moved past BTO Sports’ Andrew Short for fifth mid-race while Dungey, who had dropped to 18th after the early race pile-up, battled his way up the ranks to finish seventh. 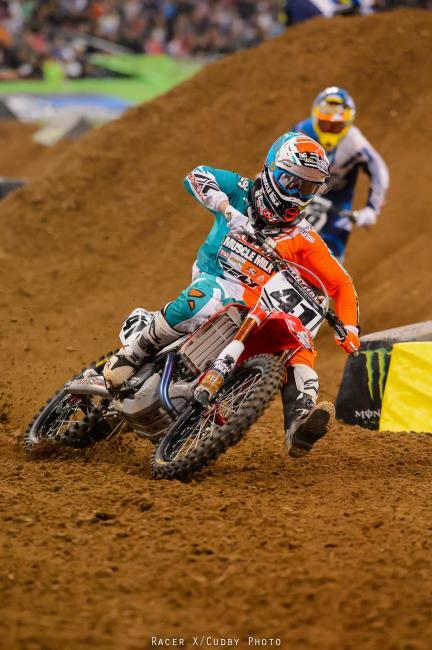 Smartop’s Mike Alessi took eighth ahead of GEICO Honda’s Eli Tomac in ninth and N-Fab’s Chris Blose in 10th. 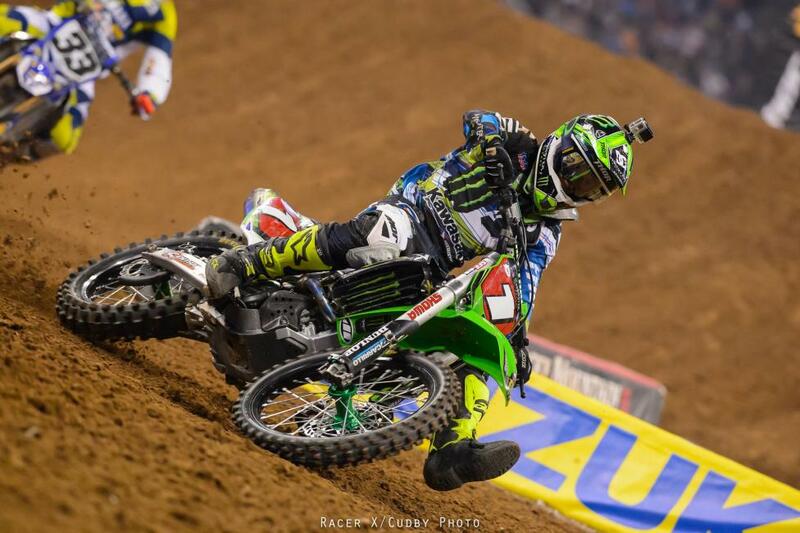 Villopoto retains the points lead and Stewart moved ahead of Dungey for second overall. Roczen sits fourth followed by Barcia in fifth. Beware of making any assumptions in racing. 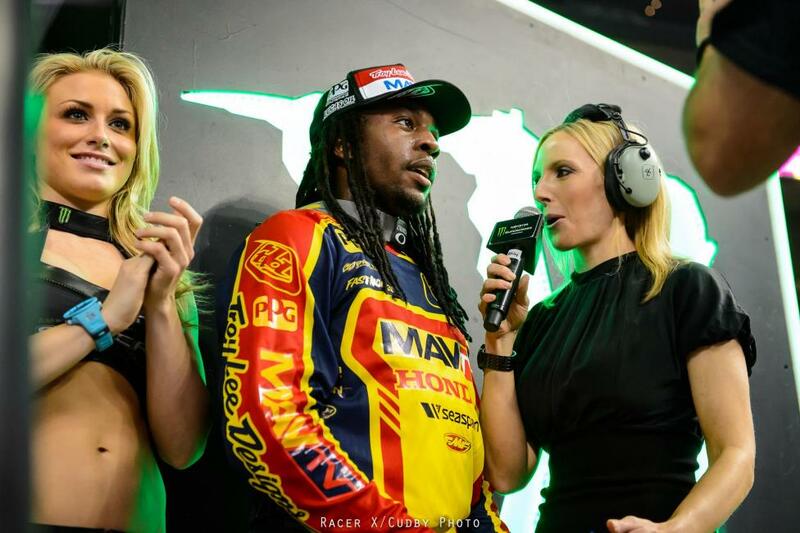 This year's Houston supercross, round 14 of Monster Energy Supercross, served up a reminder, as James Stewart's three race win streak was in jeapordy as soon as he got sick during the week, and then Ryan Villopoto took on a crash that could have been bad in his heat race. For a moment, it appeared the two riders who have won the last bunch of races were vulnerable. Plus we had a 250 class featuring some riders fresh off 450s and carrying momentum--until Jason Anderson logged his best ride of the season to nail down a wire to wire win. 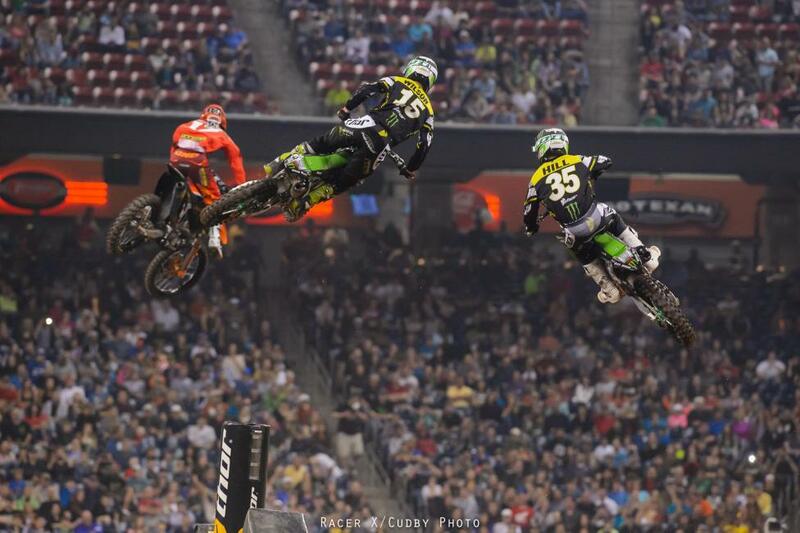 Then Villopoto bounced back by stealing a semi win and the holeshot the main from a bad gate. From there the Monster Energy Kawasaki rider, like Anderson, returned normalcy to the field, as he delivered his fourth win of the season and further extended his points lead. Now it looks like Villopoto could wrap this up as early as next week at his home race in Seattle—but then again, you should never assume anything in racing. 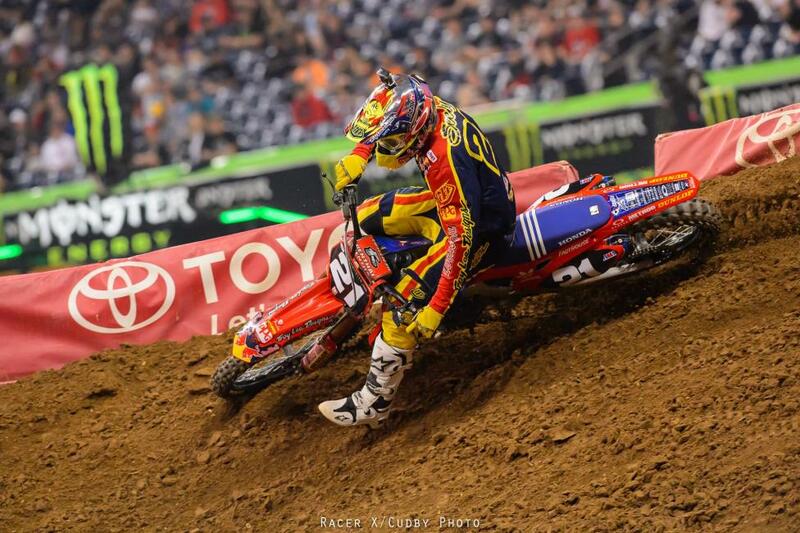 Dungey had to come from next-to-last (Hill was even further back) to net seventh. That drops him from second to third in points behind Stewart. 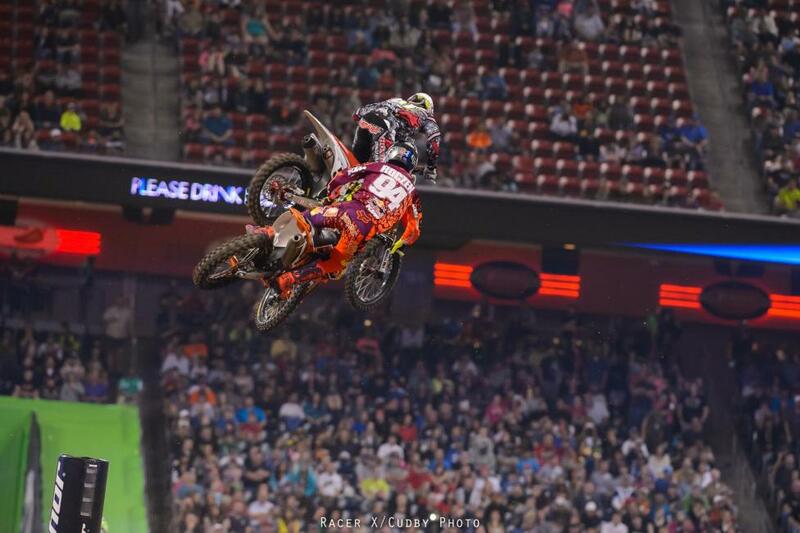 The 250 SX West championship returned to action in Houston, and Rockstar Energy’s Jason Anderson finished on the top-step. Monster Pro Circuit Kawasaki’s Dean Wilson finished in second followed by Troy Lee Designs’ Malcolm Stewart in third. 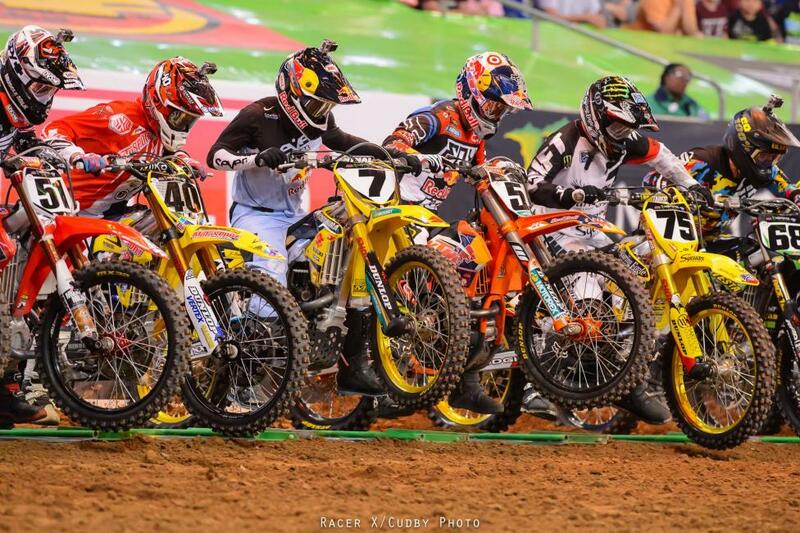 Stewart’s teammate, Jessy Nelson, scored the holeshot but Anderson was quick to take over the front. Wilson trailed in second followed by his teammate, Justin Hill, in third. Anderson began to pull away in the opening laps, but Wilson remained steady and never let the KTM rider build too large a gap. Hill looked strong as well until mid-race when he suffered an off that set him back to eighth. He was able to finish after the incident, but dropped one more position to ninth before the checkers. Stewart move from fourth to third after Hill’s off and the top-three riders held strong to the finish. Wilson made a late race push on Anderson and got within striking distance of the lead during the final laps, but was unable to move ahead of Anderson by the finish. 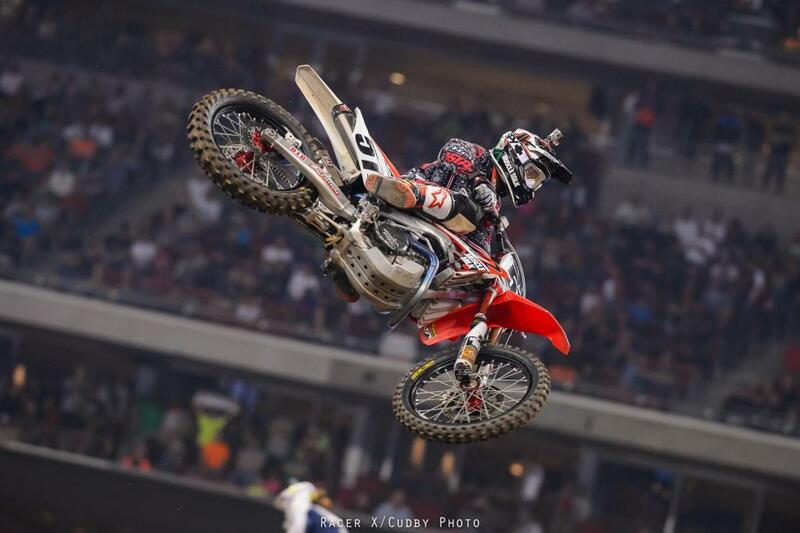 Stewart’s teammate, Cole Seely, finished fourth ahead of GEICO Honda’s Zach Osborne in fifth. Yamaha’s Cooper Webb took sixth followed by Troy Lee Design’s Shane Mcelrath in seventh. Anderson holds on to the points lead, sitting 11 ahead of Seely in second. Wilson is third followed by Hill in fourth and Stewart in fifth.